The biopic of the legendary yesteryear actress Savithri, Mahanati directed by Nag Ashwin of Yevade Subrahmanyam fame, and starring mallu beauty Keerthy Suresh in the titular role, besides Dulquer Salmaan as Gemini Ganeshan, and Samantha and Vijay Deverakonda as journalists had turned out to be a huge success. 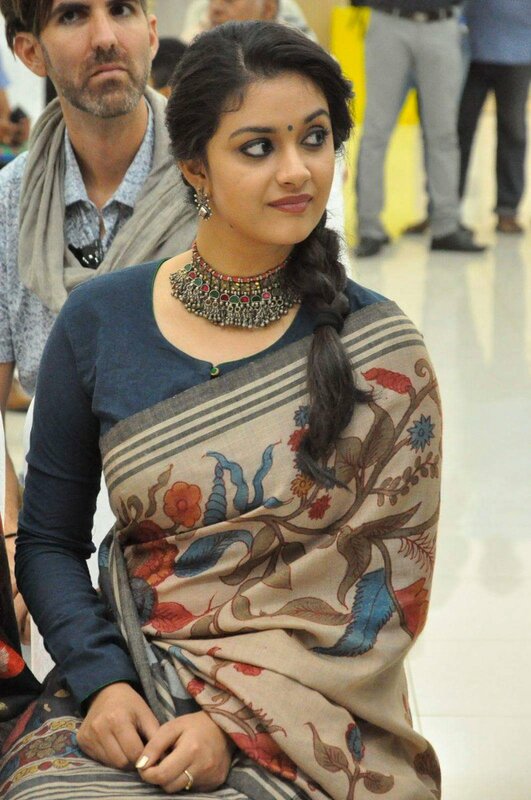 The film was well received by both the Telugu as well as Tamil audience in its dubbed version Nadigaiyar Thilagam and the movie went on to gross more than 60 crores which were huge considering that it was a female-centric movie, and it won rave reviews for Keerthy Suresh, escalating her to superstardom. Now, Hichki's director Sidharth P Malhotra had taken it to Twitter to appreciate Keerthy's performance and expressed that he would love to work with her soon. Let's see whether Keerthy works with him in the future.